Ramallah, Palestine, 24 May, 2018: Careem, the leading ride hailing app in the Middle East, Turkey and Pakistan region announced an initiative to offer free rides for customers heading to Al Aqsa Mosque in Jerusalem every Friday during the Holy month of Ramadan. 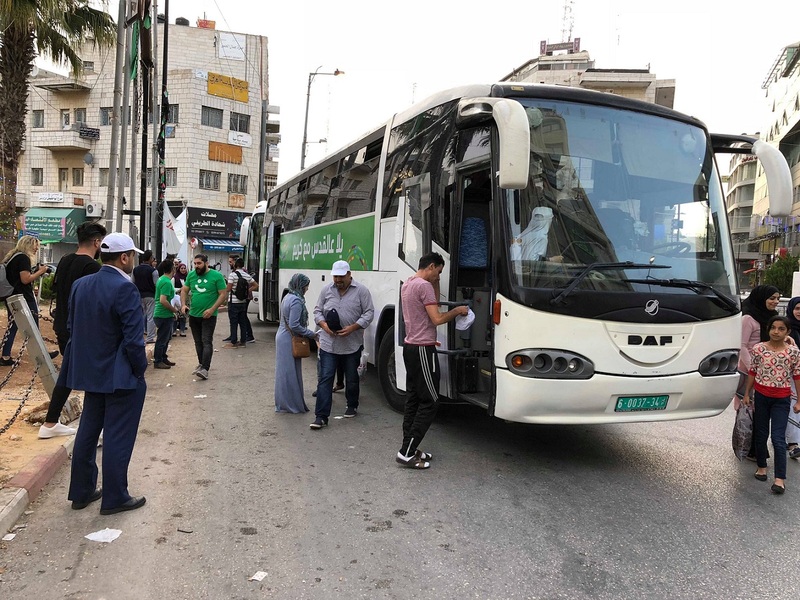 Every Friday, Careem will organize at least two buses from the West Bank region, which will transport customers from the center of Ramallah’s Manara Square to the closest crossing point into the holy city of Jerusalem at Qalandia. Both buses will transport around 400 customers and will be available from 5:00am to 10:00am. Thousands of worshipers from the West Bank converge every Friday into Jerusalem in attempt to reach the Al Aqsa Mosque to perform their prayers, during the holy month of Ramadan. Al Aqsa Mosque is said to be the third holiest Mosque in Islam after Mecca and Medina in the Kingdom of Saudi Arabia. Careem has also designated a team on the ground to support worshipers, especially the elderly and families with children to board buses without stress, providing caps to protect them from the sun, in an attempt to make their journey to the holy mosque safe, in line with its values and code of ethics of operation. “We are hopeful that one day our fleet and captains can drive straight into the holy city of Jerusalem delivering our customers directly to the mosque,” added Manna.Careem launched its services in the cities of Ramallah and Nablus earlier this year in cooperation with taxi owners and drivers, in addition to operating in the Gaza strip, where they had launched late last year. Careem has managed to attract hundreds of taxi drivers to join the fleet of Captains in both the two West Bank cities and Gaza. Careem continues to look forward towards expanding its services to the rest of the Palestinian cities and localities including East Jerusalem, in partnership with the Palestinian Government, and public transport unions, in support of economic development and youth employment. Previous Article Let’s Pray Together!